Last time, we talked about the story of Diablo 3 up until the hero who had come to New Tristram managed to destroy the Skeleton King and find the Fallen Star. It turned out that the Fallen Star was — to all appearances — a man who had fallen from the sky and brought with him the power that reanimated the unjustly slain dead of Old Tristram who had suffered so at Diablo’s hands. 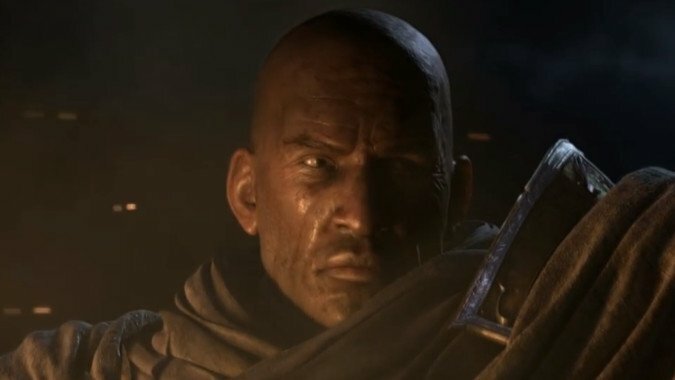 Along with Deckard Cain and his niece, Leah, the Stranger set out to reclaim the three fragments of the sword the newcomer had lost when he fell from on high, hoping it would restore his memory. Now, we look to what happened next. Leah, Cain’s ward and “niece” was quick to point out that the nearby Khazra tribes had recently become agitated. Using this clue, the Stranger made their way to the plains where the goat-men congregated, quickly finding the first shard of the lost sword — and finding it not just surrounded by enraged Khazra but also being coveted by evil cultists. These cultists were led by Maghda, a servant of Belial who came to New Tristram to seize the shards of the sword and the Fallen Star for her master. In the ensuing confrontation, many cultists died — but Maghda easily escaped, promising that the next sword fragment was in a place where only the ancients could possibly find it. This half-clue was enough for Deckard Cain and Leah to realize that Maghda must be speaking of a nearby drowned temple that dated back to the time of the ancient Nephalem, mythical nearly divine beings with power so vast that it frightened Demon and Angel alike. The Nephalem and Leah voyaged to this temple, recruiting a rakish scoundrel named Lydon as they went. The guardian at the temple, a ghostly figure called Alaric, asked the Stranger if they were a Nephalem. When Leah denied this, stating that there had been no new Nephalem in a thousand years, he directed the group to the woods north of the temple where the two keys used to enter could be found. Through purging the unquiet spirits of the dead Nephalem and their ancient enemies — their own children, warped by a demon after they turned to her side for promises that they would be restored to their true power after the Worldstone began suppressing them — the Stranger claimed the two orbs and entered the temple. After defeating the ancient guardians, Alaric now plainly stated that the Stranger was, in fact, a Nephalem — the first Nephalem in countless years, but a Nephalem nonetheless, heir to all the power of that ancient bloodline. A confrontation with Maghda led to the death of more cultists and the claiming of the second shard. Returning to New Tristram, the newly discovered Nephalem had no time to grapple with the idea of what their true identity meant for Sanctuary — the last shard of the Sword had been seen descending to Wortham and the small band headed to the ferry to reach the small fishing village, with Leah quickly deciding to return home and help her uncle’s research into who the Fallen Star truly was. Wortham turned out to be in grave danger — the Nephalem arrived only to find the village on fire and mad cultists running riot in the streets. 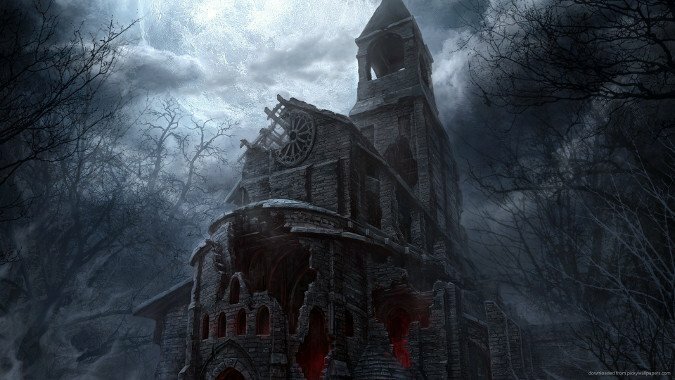 Dispatching them, they strode to the town’s chapel only to be ambushed by more cultists and their demonic allies. Told that the final shard had been taken into the chapel basement for protection, they headed down to claim it… only to discover that Maghda had already beaten them to it, and was at that moment claiming the other two shards in New Tristram. The Nephalem immediately leaped to pursue, but it was too late — Maghda used her dark magics to torture Cain, only for Leah to erupt in some dark power and slay the cultists before Cain could be forced to repair the sword of the Fallen Star. Maghda retreated instead of risking another attack from Leah, but she took the next-best thing with her, kidnapping the sky-fallen amnesiac. The Nephalem returned too late to save Cain, who used up the last of his life repairing the broken sword. This revealed that the sword was of the High Heavens, and thus belonged to an Angel. Furious at Maghda’s actions, the Nephalem sought out to find her and the coven, cutting through the caves north of Wertham and destroying giant twisted spiders left behind by Archbishop Lazarus years earlier when he’d been working to serve Diablo. After battling their way through angry Khazra and the cultists infesting Leoric’s manor home, the Nephalem descended into the mad king’s former torture chambers. The ghosts of Leoric’s victims, including the shade of his murdered wife Asylia, were granted peace as their demonic captors were slain, and the Nephalem eventually came face to face with the Butcher itself. This hideous patchwork demon was as powerful and terrifying as the name would suggest, but it too fell before the Nephalem’s raw power. 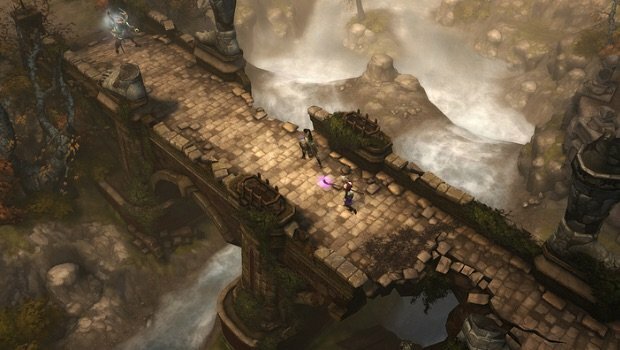 Striding into the final depths of Leoric’s mad halls, the Nephalem slew the remaining cultists in the Tristram area and presented the near-death fallen one with his sword. 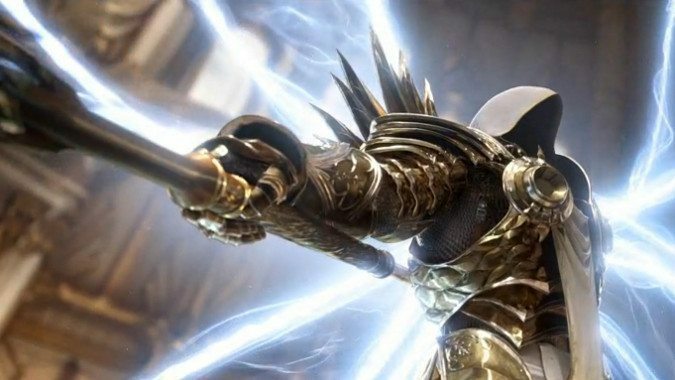 Contact with the blade caused him to heal instantly as his true power was returned to him, and he stood revealed as Tyrael, the former Archangel of Justice — now a mortal being. Upon returning to New Tristram, Tyrael revealed the truth to Leah and the Nephalem. Upon reforming himself after destroying the Worldstone decades before, Tyrael had returned to the High Heavens hoping to warn them of the Evils and their plans to take control of Sanctary and corrupt humanity to serve as soldiers in the Eternal Conflict. However, Imperius instead sought to have Tyrael punished for his actions on Sanctuary, as they violated the pact to avoid interference with mortal affairs. Enraged, Tyrael chose to divest himself of his Angelic nature rather than allow them to judge him, claiming that he could not be judged by them as he was Justice itself. This caused him to fall and lose his memory of the very calamity he was trying to warm others about. Now that the sword had been returned to Tyrael, he again remembered his mission — the Demon Lords Belial and Asmodan sought to conquer Sanctuary, use the world as a base to destroy their demonic rival — in other words, each sought to kill the other — and then win the Eternal Conflict once and for all. Maghda, Cain’s killer, would be returning to Caldeum and her master Belial, and he would soon engage in further plots. Cain’s funeral done, the Nephalem, Tyrael, Leah, and their allies made ready to travel to Caldeum to defeat Belial. And that’s a good place to stop for now. Next time, the Lord of Lies meets his fate.